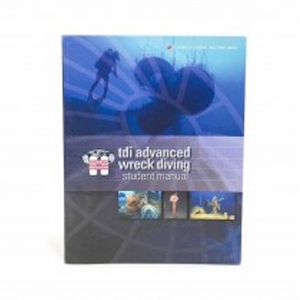 THE TDI ADVANCED WRECK DIVING MANUAL IS THE TEXT-BOOK LITERARY ASSISTANT TO THE TDI ADVANCED WRECK CERTIFICATION COURSE. Probably the first motivation for people to attempt diving was in the pursuit of shipwrecks, either for commercial salvage purposes or to recover sunken cargoes. This book will explain how to visit these sites safely and with the proper diving practices. While many texts treat wreck diving as a singular subject, the practical reality suggests that we combine this subject with material on boat diving since the best wrecks are usually only accessed by boat. In addition to wrecks, boat diving opens up a far wider spectrum of diving opportunities than would be available if limited only to swimming from shore as independent divers. Using the Advanced Wreck Diving Manual as a reference, students may utilize the Knowledge Quest Work Booklet by answering the provided questions with the most appropriate and accurate answers. The Knowledge Quest is designed to be used as an assessment for enrolled students and their respective instructors.